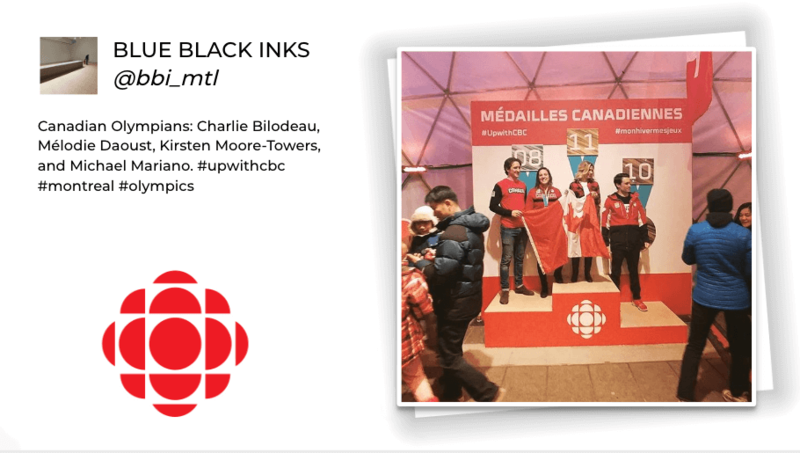 For the Pyeong Chang Winter Olympic Games, Wallrus and CBC (the Canadian Broadcasting Corporation) partnered up to share the Olympic spirit on social media. 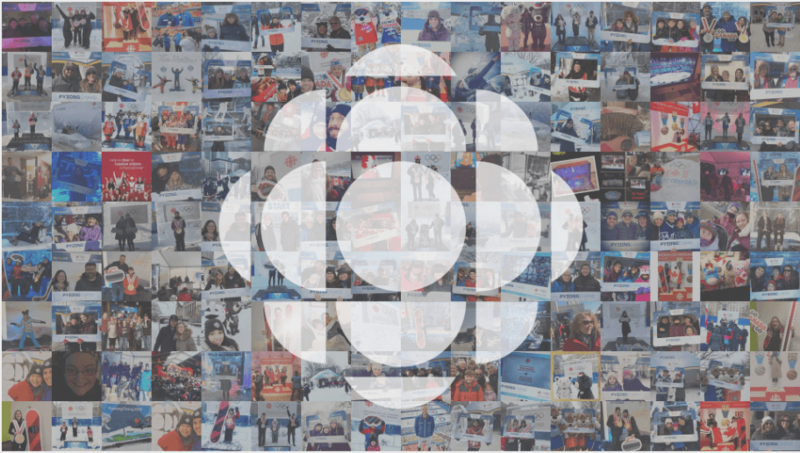 We created a mosaic social wall that invited people across Canada to cheer on the Canadian athletes using the #GoCanadaCBC and #PyeongChang2018 hashtag. 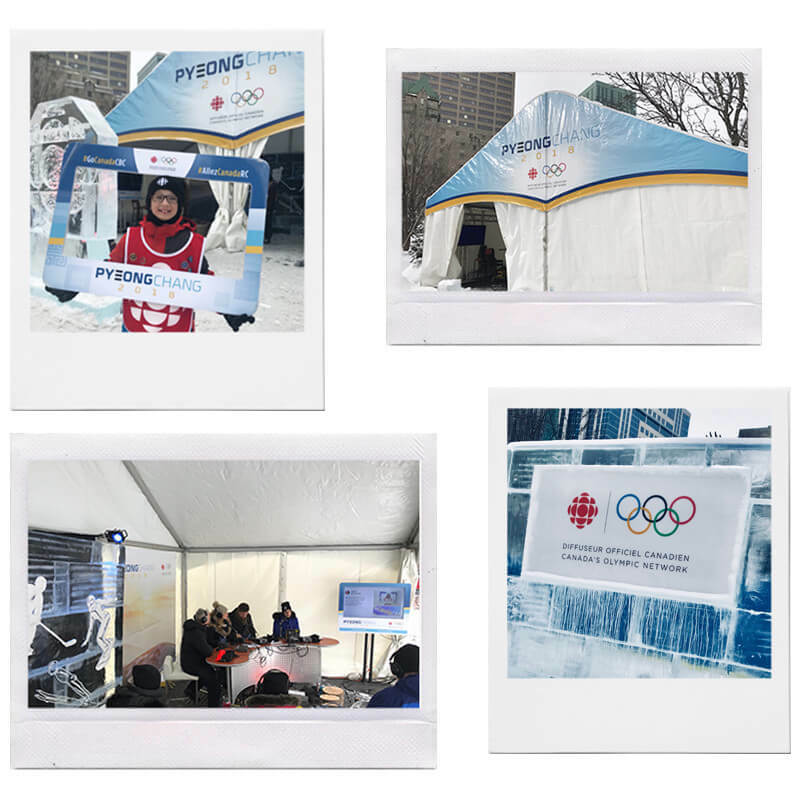 A physical screen was also displayed in Ottowa’s Canadian olympic village to cheer on the athletes! Our intent behind this was to allow supporters to interact and send their best wishes to the Canadian team throughout the week– since the events only happened during the weekend. There were even cool props around the activation site to encourage people to cheer the team on in a unique way! How fun? When creating an activation concept, ROI should always be a key consideration. We tracked the results of this activation campaign with our in-app analytics tool (available on pro and custom plans)! 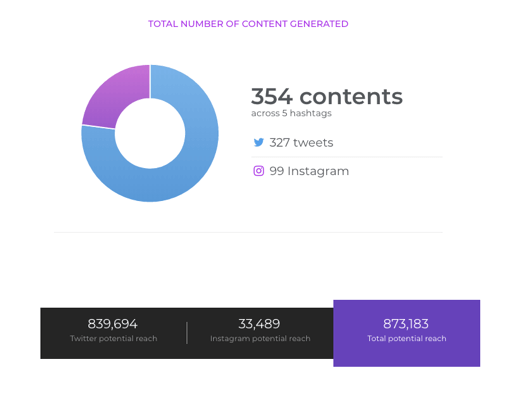 It’s a valuable tool to review the performance of your branded social media efforts after a campaign. Are you curious about the numbers? Look below! Overall, the #gocanada social media effort generated nearly 900k in reach! An undeniable proof that a social wall is a great way to capture and propagate social media content both on and offline! Are you ready to create a fun and engaging social media wall for you next event? Send us a message in the chat below and our team will happily assist you in the process!